What's that old saying... Don't judge a book by its cover...beauty is only skin deep...its what's inside that matters. The list of colloquialisms goes on and on, and they're all really saying the same thing. When it comes to people, you've got to move past judgments based upon appearances and find out what someone's all about on the inside. Let me make one confession...I can be a shallow Chef... but only when it comes to citrus. Lemons, limes, oranges...the most beautiful part of these fruits runs just skin deep. Citrus peels are intensely perfumed and packed with essential oils that impart tremendous flavor into your food. Yes, you can certainly use the juice of any one of these fruits to flavor your dish. But, its the beauty wrapped into the zest, peel or grating of the skin that packs a subtle yet powerful punch. Citrus has a way of unlocking the flavor profiles of your entire dish; its as if it heightens your senses for all of the flavors that are present. You'll see us add citrus peels to our marinated olives; and zest in everything from to seafood to vinaigrettes. Citrus even has a way of waking up the warm, spicy tones you'll find in Fall chutneys and pies. 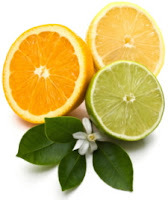 Remember the secret life of citrus...its beauty runs just skin deep...but it always packs a powerful punch. Are you ready for Thanksgiving yet? Here's a take on Cranberry Sauce with Citrus Zest- a variation on one of our chutneys. Combine the cranberries, sugar and water in a medium pot. Gently stir as you bring the mixture to boil over medium heat. Allow to gently boil for a few minutes, watching for some of the cranberries to break down. Reduce to a simmer and add the cinnamon stick, allspice and nutmeg. Continue to stir gently as needed, and simmer for an additional 6-8 minutes. Stir in the orange juice, orange zest and lemon zest-- adding a little bit of each at a time and tasting as you go along. Tasting as you cook is the real secret in improving your final product and creating balance, no matter what you're cooking. Your cranberry sauce should be subtly sweet, tart, warm with spices and bright from the citrus. Allow to cool before serving.